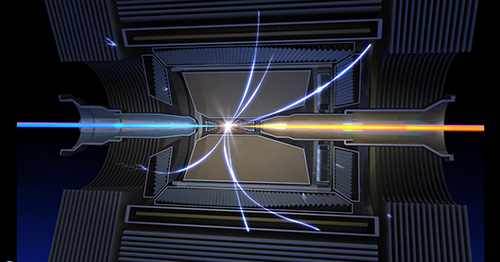 The upcoming Belle II particle collider experiment is the most modern particle detector experiment in the world. It will target a world record Luminosity, which corresponds to the number of particle collisions over time. The resulting amount of data to be saved for later analysis of the experiment is simply too huge to get across the data transmission lines. Fortunately a huge chunk of data is produced by effects that are not important for the experiment, as they don’t result in new knowledge. Identifying this data early on allows discarding uninteresting data, saving only relevant data. This approach solves the data transmission problem; however mechanisms implementing the identification have to be employed. At the ITIV so called trigger mechanisms based on machine learning are developed for the Belle II experiment. One submodule that is of critical importance for the success of the experiment is the so called event time finder. Its task is to precisely estimate the point in time at which a collision, event, happened. For this timing information of active detector sensors are evaluated online on a FPGA with low latency processing. The main tasks of this thesis are the investigation of the impact of different machine learning weight sets on the resulting FPGA implementation and an estimation of the impact during the design time.